›Unik Occasions Rhinestone Brooch, 2 in. Unik Occasions Rhinestone Brooch, 2 in. This elegant crystal brooch adds a perfect touch for any bride looking to add an elegant sparkle to her big day. This is the newest trend in wedding decoration. This brooch can be used on any wedding items: wedding cake, wedding gown, bridesmaid dress, flower basket, guest book, bridal bouquet handle, etc? Browse our catalog and pick the one that suites you personally and matches your wedding theme. 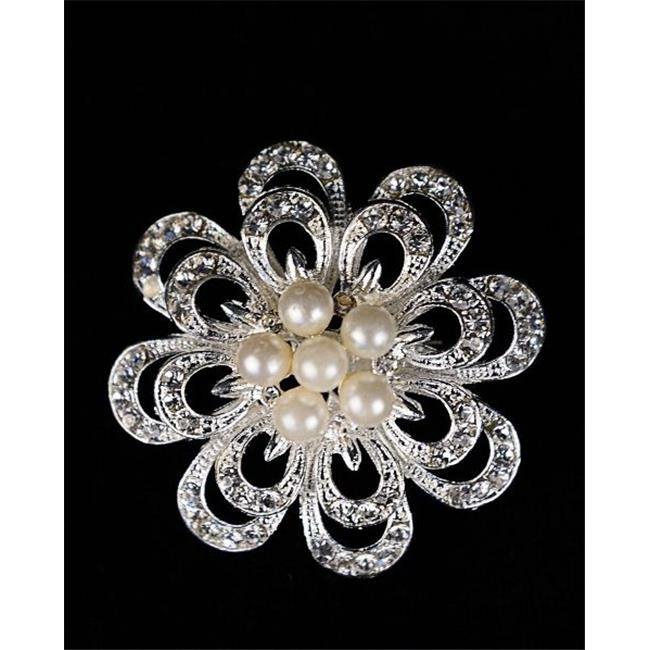 This silver plated encrusted with rhinestone brooch is 2" in diameter.